Now reading: Which Verb Duo Set Is Best For Your Hair? 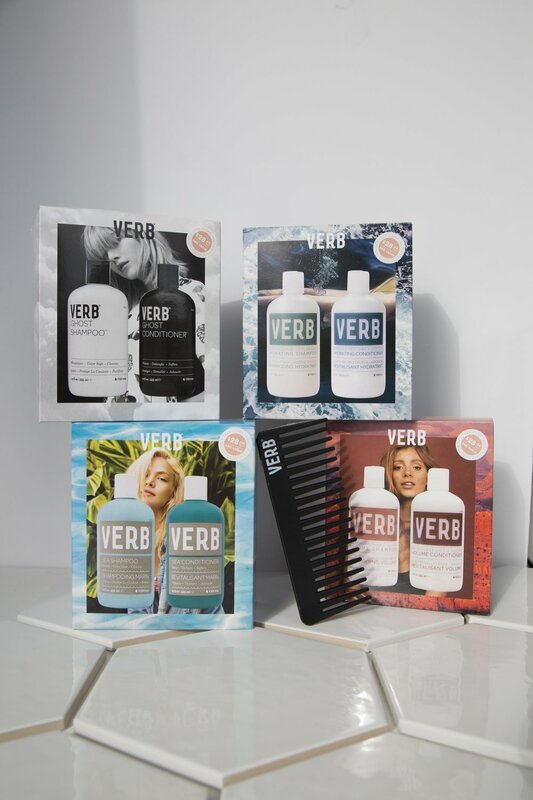 At Verb we know that your hair has a life of it's own with different needs and demands. What works best for your hair is certainly not the same as your best friend, flatmate or coworkers. We want you to find what's best for your strands that's why right now we're offering our duo sets for $28 ($40 value) - complete with a Verb detangling comb. So how do you figure out which set is best for you? It all depends on your hair type and what you want out of your wash & rinse. Let's break it down. Best for fine hair girls & guys or those who wash daily. This color-safe, dynamic duo contains everything you’ll need for a gentle yet powerful clean. Our best-selling Ghost Shampoo and Conditioner contain moringa oil, which provides your hair with a boost of natural and weightless hydration. Now, go forth and wash daily (or every other day, if you wish) without any guilt. We’ve added in a free detangling comb to complete the set. Target and repair your dry, winter strands with the Hydrating duo. This best selling duo to repair damaged hair is color-safe, paraben, sulfate & gluten free, vegan and cruelty-free. Hydrating Shampoo gently cleanses hair while Hydrating Conditioner provides intense moisture for touchably soft strands. This duo is an absolute must to restore your tresses to their pre-winter gloss and glory. As an added bonus to our best sellers, we’ve included a free detangling comb to complete the set. This body-boosting duo won’t give you big Texas hair but it will provide an all over weightless lift. Best for those fine hair girls and guys looking to add touchable volume this duo is color-safe, vegan, cruelty-free and free of parabens, sulfates and gluten. Volume Shampoo provides strands with a boost of clean, weightless lift while Volume Conditioner supplies hair with long-lasting body and hydration. Formulated to thicken, moisturize, and lift hair from root to tip, this duo is a must-have if your New Year’s resolution is to elevate (pun intended) your hair game. We’ve added in a free detangling comb to complete the set. No matter the time of year, bring the beach directly to your shower with the texturizing Sea duo. Create touchable waves with this color-safe, vegan & cruelty-free duo, also free of parabens, harmful sulfates and gluten. Sea Shampoo gently cleans hair while adding body and enhancing waves for a natural, tousled look. Sea Conditioner then hydrates and softens hair while adding weightless texture and a bit of beachy grit. Tickets to Bali not included, but we did add a free comb to complete the set! No matter what your hair needs are, there’s a Verb Product for you—all are color safe, vegan, and free of parabens, sulfates, and gluten. Which shampoo and conditioner duo is right for you?